Summer vacation is long, and it does not need to be devoid of intellectual learning. Summer Blazers Tutoring is a seasonal agency that connects families with experienced independent school teachers during the months of June, July, and August. Our teachers focus their knowledge and skills to construct individualized learning experiences built upon mutually agreed expectations. 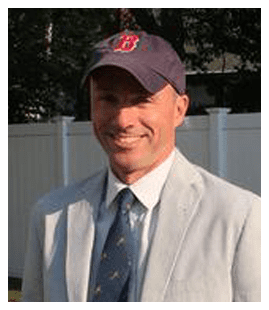 Our families are free to select a tutor from a diverse inventory of experienced independent school teachers from the Boston area. Therefore, our goal is twofold: We provide students with a customized and enjoyable learning experience that prepares them for their unique challenges of the upcoming school year, and we also provide independent school teachers with a fulfilling summer work environment. To quote the Pretenders: "Don't get me wrong." I believe in summertime! I believe in the beach, baseball, ice cream trucks, overnight camp, rope swings, and every other iconic summertime moment. Summer vacation is sacred to both children and adults, and I am not suggesting we stay in "school mode" all year. Please, don't get me wrong! This being said, summer vacation is long, and it does not need to be devoid of intellectual learning. As an independent school teacher, administrator, parent, and former student, I am far too familiar with the unspoken moment in September when parents and students realize that more academic preparation could have been done over the summer. Every fall, I observe various students who had too many "iconic summertime moments" and not enough intellectual time. ​However, I believe this is a fixable problem. Summer plans could involve a head start in content, sharpened skills, a better foundation of strategies, artistic enrichment, preparation for standardized tests, or the further growth of an established love of learning. Of course, you could not do this alone, and summer school might not be favorable. You would need a tutor. Preferably, you would be guaranteed a tutor that is an accommodating, experienced, and motivated teacher. Ideally, you could choose from a menu of such teachers, and the hassle of searches and negotiations would be removed. Other agencies offer professionals from fields besides education, and some agencies offer tutors who are college students. 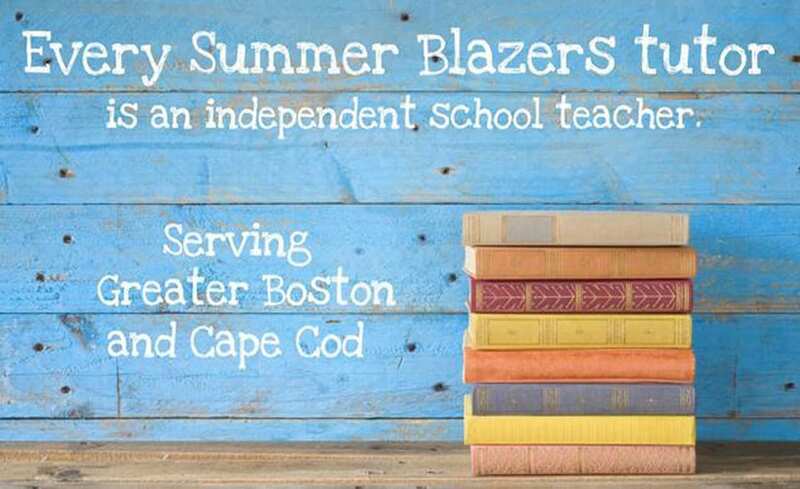 With Summer Blazers, every tutor is a current teacher from a Boston or Cape Cod area independent school who can craft lessons of summer coursework. Other agencies operate all year. Their tutors visit students after a busy day at work. We, however, are a “seasonal” agency which allows our tutors to be away from the typical strains of their workday. We are focused on the individual needs of your child, we know how important summer vacation is to families, and we are ready to make your summer learning experience an enjoyable one. All of our tutors travel to accommodate your busy schedules. In this, our third summer, I invite you to begin constructing a customized and fulfilling summer learning experience. "Both my daughter and son absolutely loved our Summer Blazers tutor. She not only was on time, professional and always prepared, but she would greet them with a warm smile. Our tutor worked diligently with them to tackle their summer reading, develop collaborative discussions, and more importantly to produce in-depth analysis of their reading. She would write up and share detailed notes after each session and give them both writing and reading prompts to work on while they continued their reading. As a result of their tutoring, both my children were well prepared and armed with a great tool kit to start off their fall terms. We would hire Summer Blazers again and again!" "I absolutely loved working with Summer Blazers Tutoring. The process of engaging, paying, and scheduling lessons was effortless. The tutoring sessions themselves were fantastic. Our tutor kept my very active 12 year old son engaged and interested at every session. I had great peace of mind knowing our tutor has an independent school background and could easily work with my son's curriculum. His professionalism and willingness to work with my son's former teachers was beyond valuable, and it helped for a seamless transition from 6th to 7th grade. I highly recommend Summer Blazers - we were lucky to find them!"